I have always been a soldier. I have known no other life. So begins Alexander’s extraordinary confession on the eve of his greatest crisis of leadership. By turns heroic and calculating, compassionate and utterly merciless, Alexander recounts with a warrior’s unflinching eye for detail the blood, the terror, and the tactics of his greatest battlefield victories. 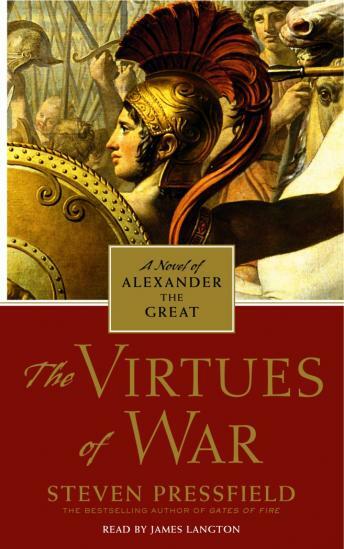 Whether surviving his father’s brutal assassination, presiding over a massacre, or weeping at the death of a beloved comrade-in-arms, Alexander never denies the hard realities of the code by which he lives: the virtues of war. But as much as he was feared by his enemies, he was loved and revered by his friends, his generals, and the men who followed him into battle. Often outnumbered, never outfought, Alexander conquered every enemy the world stood against him–but the one he never saw coming. . . .